Phew! This poster is done! It was harder to make than the previous four Hitchcock posters to date, but the real problem was that other efforts became a distraction over the past few weeks (good stuff honestly). But I was able to lock in over the past couple of days and I spent most of it studying Janet Leigh’s facial expressions trying to find a way to make something for the main image of her in this poster. I think it’s interesting to think about this in the context of Leigh’s description of her working with Hitchcock while filming Psycho. She described how Hitchcock made clear that his camera was ‘the focal point,’ and she was to move with it. She mentioned how other actors might have been constrained by his blocking, but she took it as a challenge. And she does make the most of it, working the camera with her fabulous expressions throughout the film. The original poster makes room for John Gavin, but I felt that the house over looking the Bates Motel deserved better treatment. And be sure to look closely, I think mother is watching! Yeah, man, a new and altogether different GIF excitement! I like the tension of the more frenetic fear movement at the top and the more subtle motions in the larger/lower panes. Good to have you back on task. Todd and Alan thanks so much. Next up, Lifeboat. I especially like the halftone effect on the images. Thanks Paul, I definitely keeps the images looking like a poster, and for an added bonus it actually helps hide little imperfections in the masks and layer work. 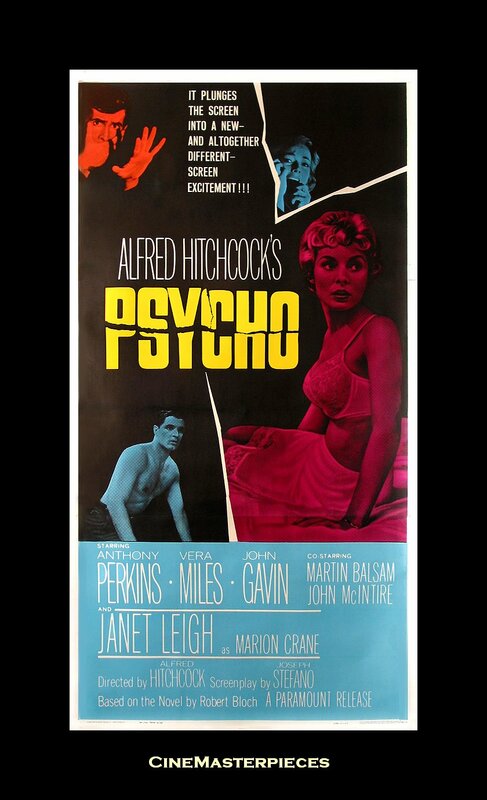 Your poster has been linked on the Facebook page for Alfred Hitchcock and the Making of Psycho. @Hitchcockian thanks for the love and share. I’ll jump onto my wife’s Facebook account to see some feedback. Thanks!